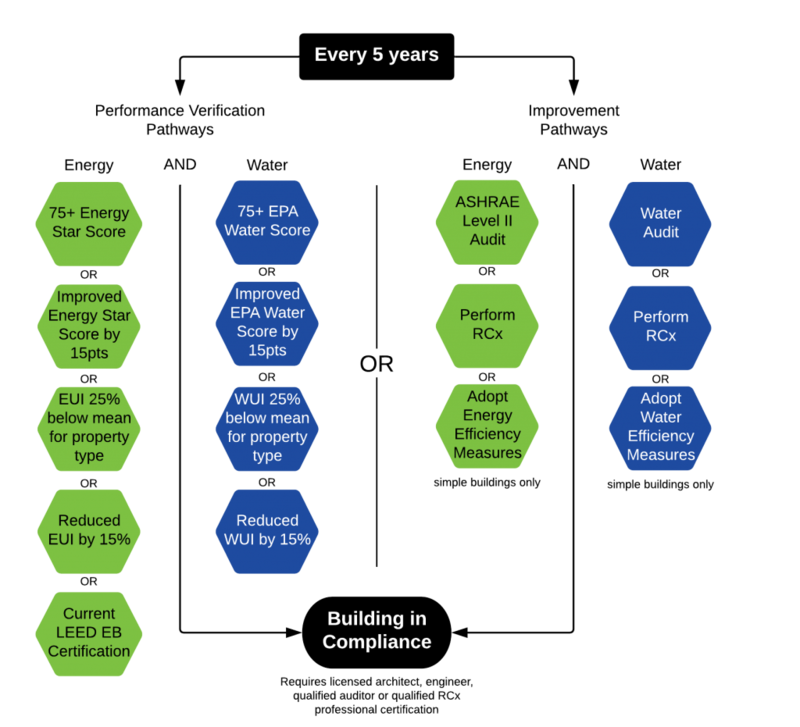 What is the San Jose Energy and Water Building Performance Ordinance (BPO)? San Jose BPO is a city law that requires all building owners whose properties are located within the City of San Jose to conduct energy and water benchmarking annually and verify or improve their building performance every 5 years. What is required for San Jose Annual Benchmarking? Every year energy and water usage data is required to be collected and submitted to the City of San Jose Environmental Services Department by May 1st each year. When is my San Jose Annual Energy and Water Benchmarking Due? The BPO program went into effect in 2019, with the first benchmarking due May 1, 2019. Additional due dates will be on a rolling basis over several years. What are my options for complying with the 5-year San Jose Building Performance Ordinance Verification and Improvement? Chart showing the options for compliance with San Jose BPO 5-year requirements. When is the San Jose BPO Verification and Improvement due? Properties ≥ 50,000 sq. ft.
Properties 20,000 – 49,999 sq. ft.
What happens if I don’t comply with San Jose BPO? The fourth violation is designated as an infraction and violators shall be guilty of a misdemeanor. Each day of non-compliance is considered a separate violation of the code.